I pinch this recipe from Henry Dimbleby, owner of the chain Leon who gave it away in the Guardian, but I have changed the quantities and his call for more sugar. It contains one unusual ingredient, Hibiscus flowers; one that I happen to buy quite often since discovering it in Egypt a few years ago. 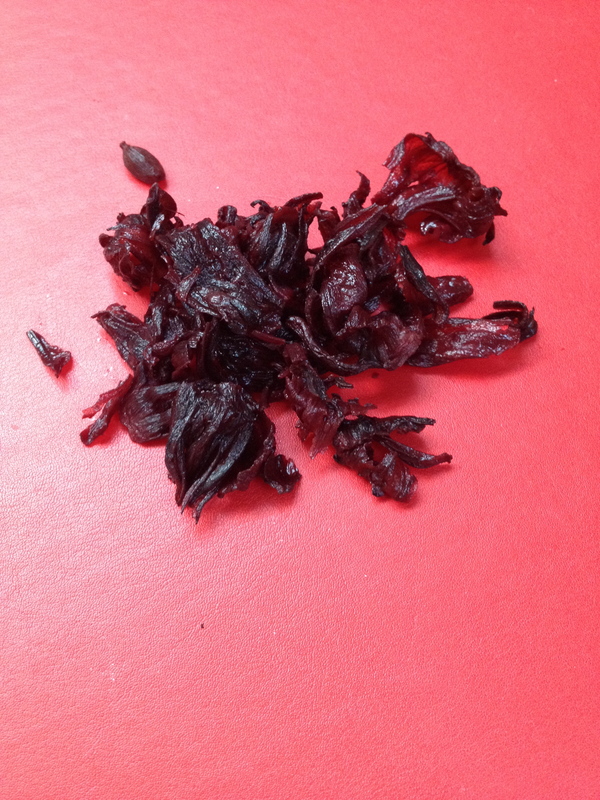 You can find dried hibiscus flowers in herbal shops, health shops and some exotic grocers. I love the tart taste of this infusion and its beautiful deep crimson colour. 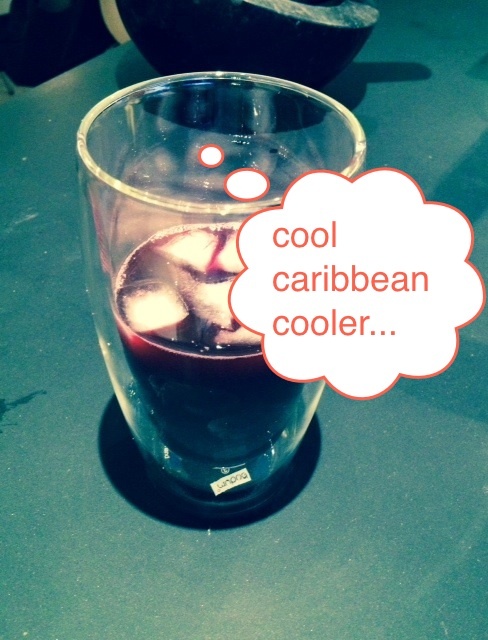 It is also very high in vitamin C and extremely refreshing… in the heat. Bring all the ingredients up to the boil in a deep pan and simmer for one minute. Pass through a fine sieve and taste to adjust sugar. You might want a bit more. Chill and serve in tall glasses with ice. We loved it and my older son might have liked it even better with a large shot of vodka, which is a very tempting option for a Friday night… A votre santé! Salud! My mum and dad always like to invoke health when drinking and for this once it is exceedingly appropriate, given the digestive ginger oils and the vitamin C content! I raise this alcohol-free glass to my parents with whom I will be celebrating a 50th anniversary in a warmer clime tomorrow: I love you both and I am very proud of you and of what you have achieved in those well-stocked 50 years.